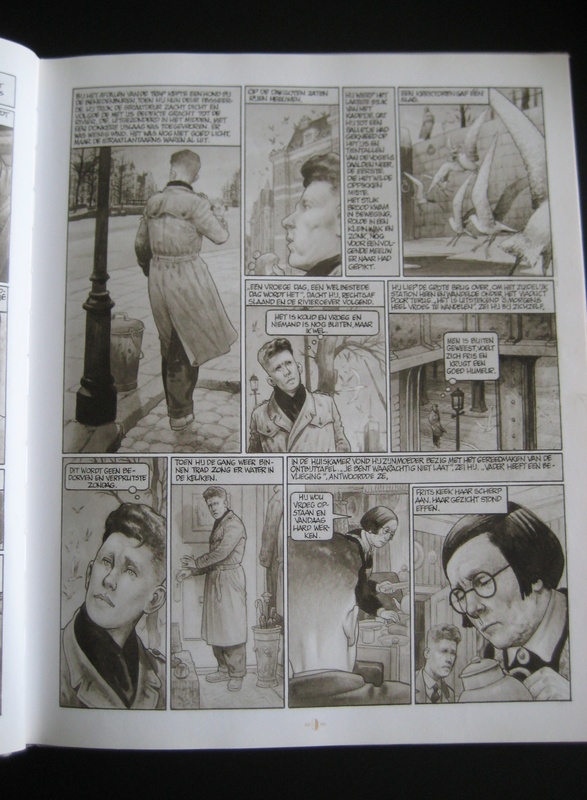 You are currently browsing the category archive for the ‘Graphic Novels Challenge’ category. A novelty, for me at least: in 2010 I will be reading more than 3 comic books or graphic novels for certain! How do I know? Because I’ve joined the Graphic Novels Challenge as an Intermediate! 3-10 books must be doable, since I have just finished reading The Best of Mutts and Persepolis 1 & 2 are already waiting on the shelf; all three books I bought especially for the purpose of a varied diet in last October’s 24 hour read-a-thon. That’s when I read my first graphic novel btw: Neil Gaiman’s Coraline. It felt really good to crawl out of my usual book nook. It’s a good opportunity to check out Art Spiegelman’s In The Shadow of No Towers, which I’ve been meaning to do ever since it was published. You all know Spiegelman from his famous autobiographical comics Maus I & II, right? I’ve mentioned him before in my post about Coraline. Not to mention this month’s irresistable mini-mission: the classics in graphics, for which you need to read 1 classic of literature that has been made into a graphic novel. Interesting, right?! So you’ll be glad to hear that you don’t even have to join the actual GN Challenge to participate in this mini-challenge that Teresa is hosting! What’s keeping you?